From sports drinks to flavoured waters and sodas, Keurig is reinventing how we pour ourselves a cold drink. 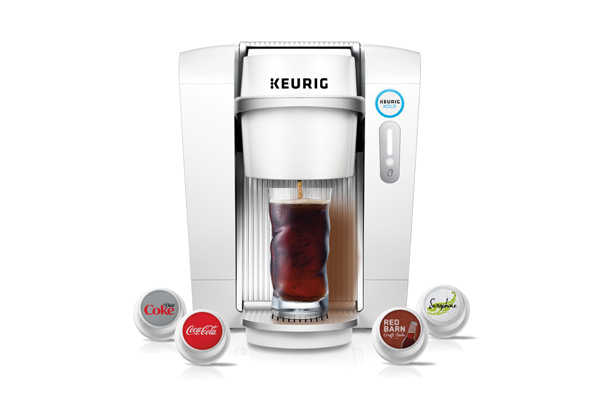 Insert a pod, push the button, and let the Keurig KOLD system work its magic. No CO2 canister needed. Popular brands like Coke, Sprite and Canada Dry are available, as well as home brands from Keurig.